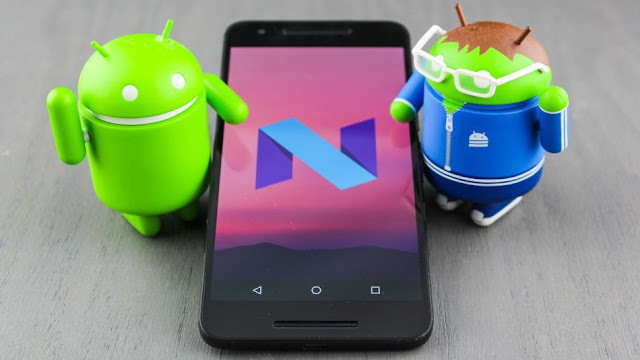 The Google has announced the next version of its Android mobile operating system is Nougat, a type of candy with sugar, honey and nuts. Android Nougat will be version 7.0. Keeping with tradition, Google has named [it] after a sweet treat that's in-line with the alphabet. Now the new vertion of android mobile operating system is Nougat. Android Nougat promises to bring you a variety of “tastes” and features. Front and center will be the multi-window support. Also Google is bringing a better Doze functionality. Then there’s the seamless auto-update, which allows the operating system to download Android core level updates in the background and install them when you restart. Among the other features that will differentiate Nougat...will be the launching of the new Android VR platform called Day dream We know that Tango technology will be baked in to Nougat and will be available if your device has hardware to support it. Also, you may want to watch out for new navigation buttons. Let us see your views about the new and latest version of android called Nougat in the comment box. You have finished reading Android "N' Official Name As Nougat [Update: version 7.0] and many articles about Tech Gallery in our blog this, please read it. and url link of this article is https://littlebitjohnny.blogspot.com/2016/07/android-official-name-as-nougat-update.html Hopefully discussion articles on provide more knowledge about the world of new tech gadgets.